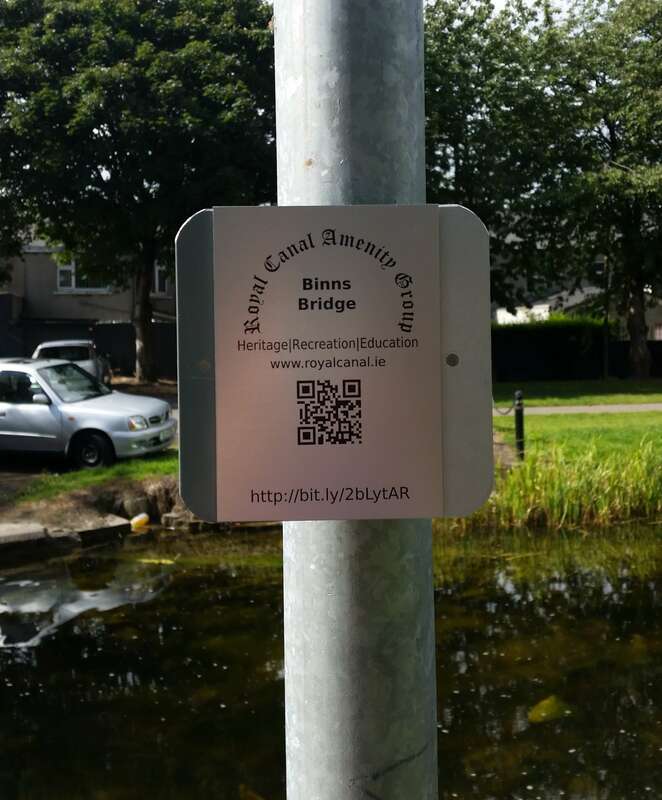 Our Smart-Tags are now in place from Binns Bridge through Ashtown, Castleknock, Maynooth, Kilcock, Thomastown to Mullingar. Details about the canal and its history, in addition to local information can be obtained if you have a suitable smart-phone. More detailed information on the Smart-Tags and their locations is on the Canals of Dublin website. To use the tags along the canal simply scan the QR code with your smart-phone or tap the NFC tag with a NFC enabled smart-phone. The system has been setup using the Android system and tested using the ScanLife and I-Nigma QR code reading apps. If you are on an alternative platform, search for “QR reader” within the application shop for your device. And finally, if you don’t have a phone suitable for reading the tags, their contents can be accessed Here.